The Education Development Trust offer ways for students to get into teaching . During the 2016 campaign, Formulate worked closely with them to target several key demographics - their digital presence had to appeal to school students, mature students and teachers, as well as parents. With a limited budget, during a limited timeframe, this was achieved using a number of digital marketing strategies, including a bespoke designed website, mobile app and successful AdWords campaign. 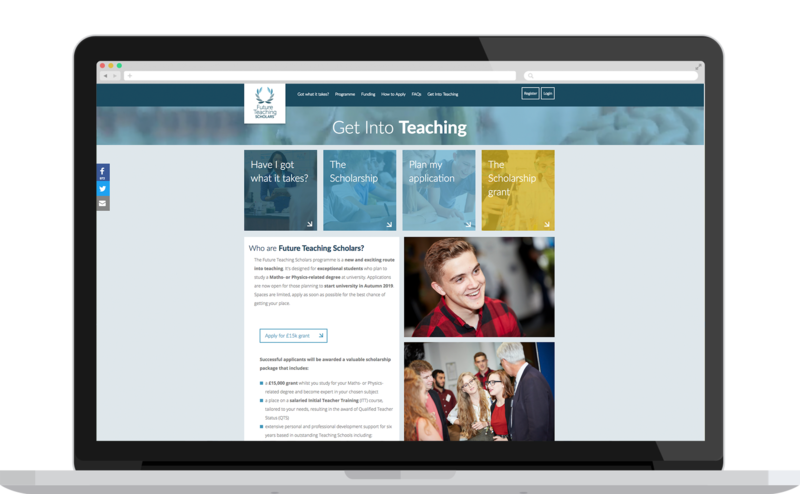 Formulate continue to work on the Future Teaching Scholars initiative as it evolves, now adding new functionality to cater to schools looking to hire graduates of the scheme as it enters its fourth year of backing from the Department for Education.